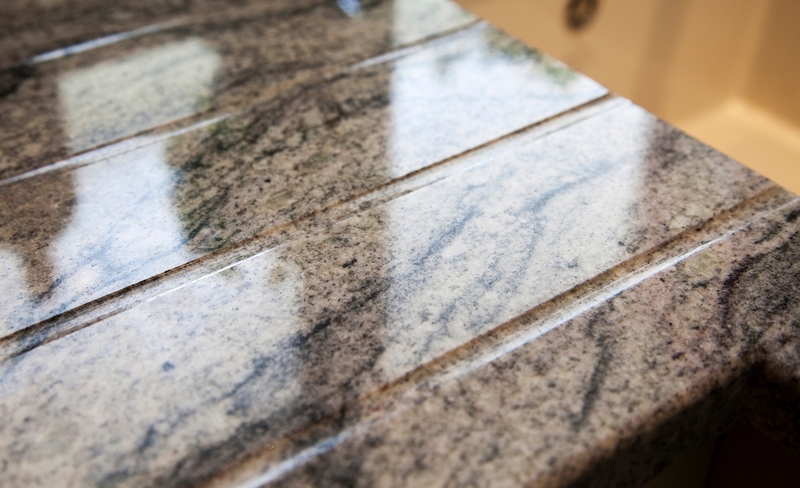 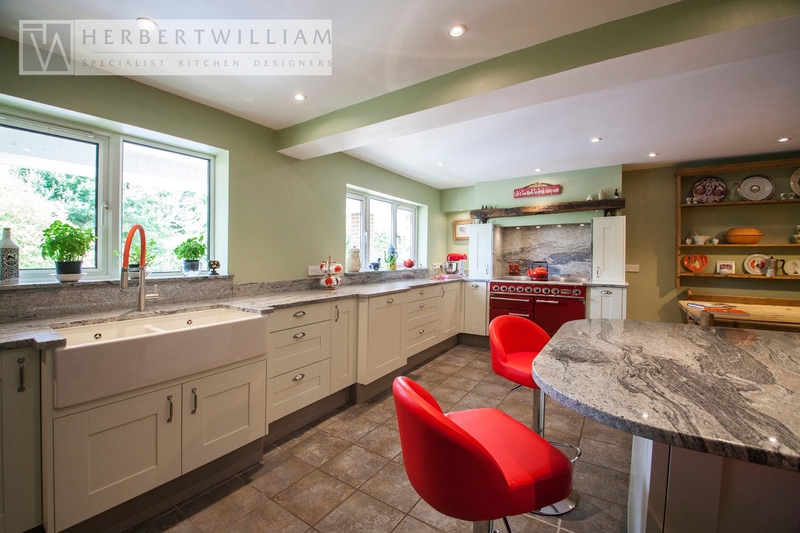 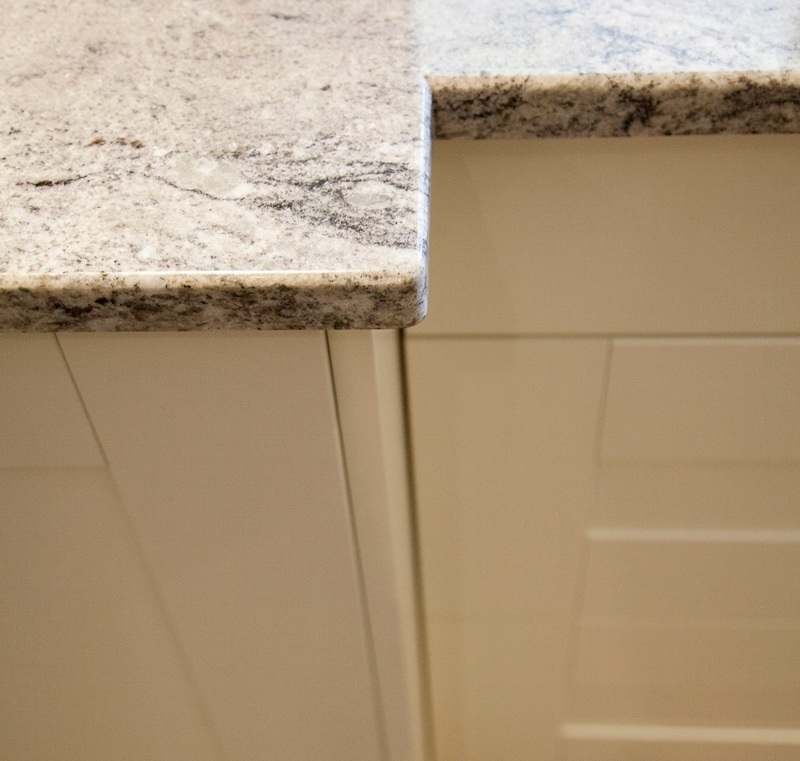 Stunning kitchen worktops in our incredibly popular Kinawa White granite. 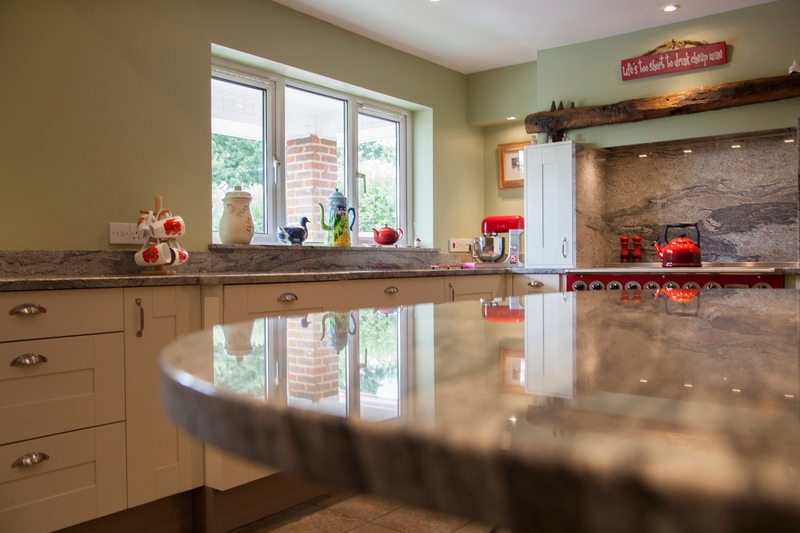 Stone extras: Window sills, splash back and upstands in the same material as worktops to create a stunning look. 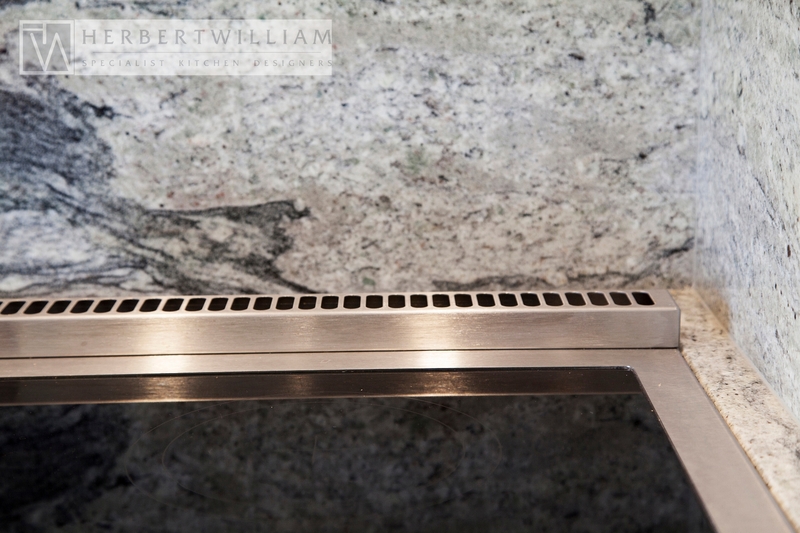 Double Belfast cut out with drainer groves and a large cut out for the range/AGA. 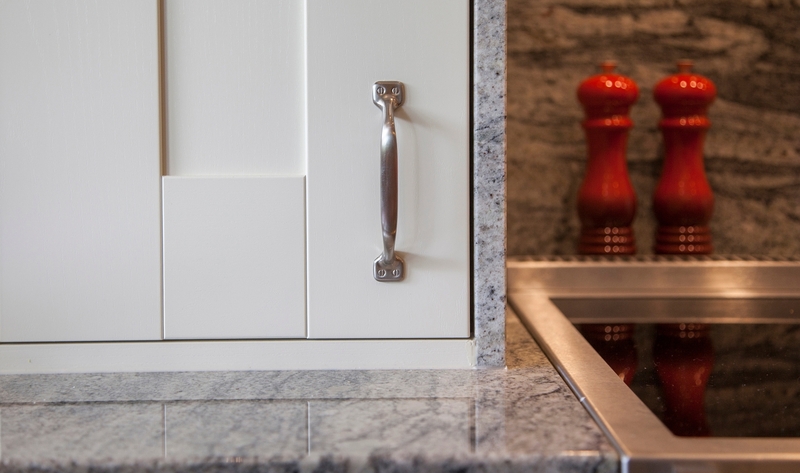 Kitchen Accessories: In red to pick out the stunning red/pink within the stone.